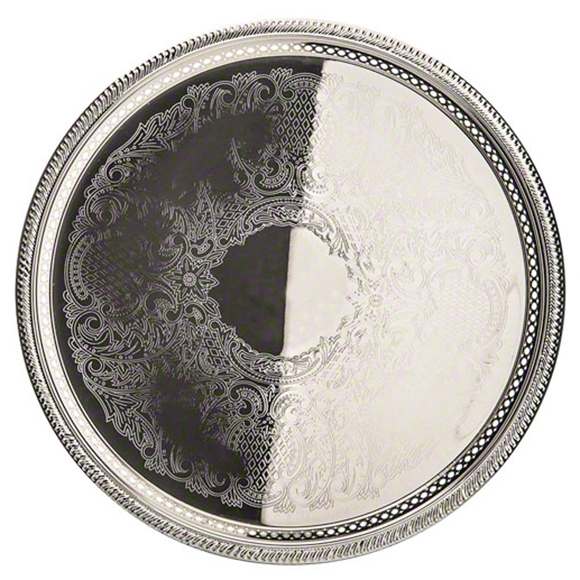 Dimensions 1" H x 13" Diam. Traditionally, a gallery tray contains a raised rim, which makes it ideal for serving drinks. 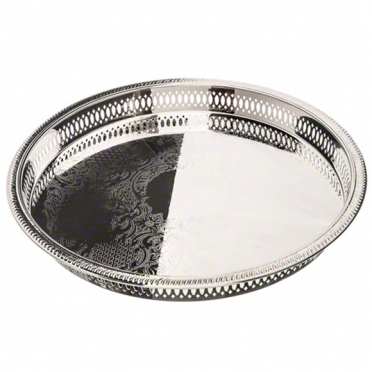 This tray has a silver-plated finish that glistens against the lights and brings a regal elegance to your event. 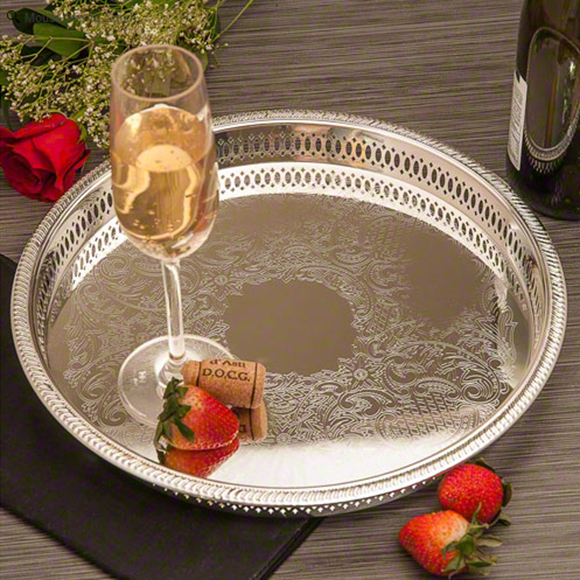 As your servers distribute champagne or other beverages, your guests are sure to appreciate this beautiful tray.